Music therapy is a very powerful way to heal many human problems, if it is applied wisely. 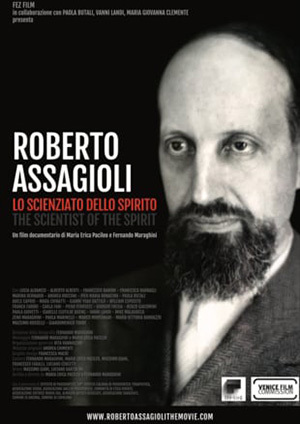 Assagioli gives an overview in this article. It was known by the ancient civilizations that music has healing properties, and they deliberately used it for such purpose. In Finland’s epic poem, the Kalevala (14), we read of a sage who succeeded, by means of his music, not only in appeasing the fury of a mob, but actually in hypnotising the people, sending them to sleep. In the Bible (5), it is reported that King Saul, being tormented by an evil spirit, called upon David, the skilful player on the harp; and “whenever the evil spirit … was upon Saul … David took a harp and played with his hand; so Saul was refreshed, and was well, and the evil spirit departed from him.” (I. Sam. , 16; 23) According to the Arabs, music has a beneficent effect on animals. They say that the singing and playing of the shepherds make the flocks thrive. Among the Greeks music had a special place as a curative agent. Homer (11) narrates that the flow of blood from the wound of Ulysses was staunched by the melodious song of Autolycus. We have more precise information on the use which Pythagoras made of music. “Pythagoras,” writes Porphyry (20), “based musical education in the first place on certain melodies and rhythms which exercised a healing, purifying influence on human actions and passions, restoring the pristine harmony of the soul’s faculties. He applied the same means to the curing of diseases of both body and mind … In the evening, when his disciples were about to retire, he would set them free from all disturbances and agitations of the day, steadying their somewhat wavering minds and inducing peaceful sleep which brought with it propitious and even prophetic dreams. And when they arose in the morning he freed them from lingering sleepiness by means of special songs and melodies.” Porphyry also relates that on one occasion, after Pythagoras had striven in vain to calm and restrain a drunken man who was attempting, as an act of revenge, to set fire to a house, he succeeded in pacifying him by means of music. Aristotle (4) mentions among the various functions of music that of emotional catharsis, which shows an interesting similarity with the aim pursued by modern psychoanalysis. We cannot deal with many other instances of the appreciation and use of music for healing purposes by the Greeks and the Romans and, later, from the Renaissance on through the eighteenth century. Those interested in the history of musical therapy can find ample information in two essays, one by Bruno Meinecke, and the other by Armen Carapetyan, contained in the book, Music and Medicine (22). To keep the wolf at bay. A few medical doctors, however, have made use of musical therapy. Among them was Hector Chomet. In his book, The Influence of Music on Health and Life (6), various cases of healing by means of music are mentioned. He reports the case of a woman subject to epileptic fits who one day happened to be listening to music when the symptoms of an approaching attack set in; the fit, however, did not occur. From that time on, at the first appearance of the symptoms, she arranged for music to be played, and in this way succeeded in entirely overcoming the attacks. In the present century, and particularly in the last decades, there has been a renewed interest in musical therapy which has shown itself chiefly along three lines: as a means of soothing pain; through collective application in hospitals, especially in psychiatric clinics, with the general aim of producing calming or tonic effects on the patients; and as a means of occupational therapy (treatment by activity). A truly scientific musical therapy and particularly its individual applications – namely those which aim at curing specific troubles in particular cases – should be based on a precise knowledge of the various elements of which music is composed and of the effect which each one of them has, both on physiological functions and on psychological conditions. The principal musical elements are: rhythm – tone – melody – harmony – timbre. 1. Rhythm. This is the primordial and fundamental element of music. The music of primitive peoples consists solely of rhythm. It is, indeed, what the poet D’Annunzio has called it, “the heart of music.” Rhythm is the element which has the most intense and immediate influence on man, and it affects directly both the body and the emotions. Organic life is based on various rhythms: the rhythm of respiration; the rhythm of the heart-beat; the rhythm of the various muscular movements; the rhythm of activity and rest; the rhythms of the various bodily functions, not to speak of the more subtle vibratory rhythms of every cell, every molecule and every atom. It is therefore not surprising that the rhythms of music exercise a powerful influence on those organic rhythms, either stimulating or calming them, harmonizing or creating discord and disruption. The psychological life of the individual as well as that of his body has its various and complex rhythms: the rhythms of elation and depression; alternations of sorrow and joy, of fervour and lassitude, of strength and weakness, of extraversion and introversion. All these conditions are extremely sensitive to the influence of the rhythm of music. There are also certain activities wherein the rhythms of the body, the emotions and music interpenetrate and become fused in one integral rhythm. This happens in dancing, which one may truly call living music, expressed with one’s whole being. In rhythm itself we must distinguish various elements: chiefly tempo or speed (andante, moderate, allegro, etc.) and meter or grouping of beats. Each of them has its own specific influence; for instance, the more rapid the tempo, the greater is the emotional tension produced. A valuable analysis of the psychological effects of the various metric patterns or designs can be found in the chapter by Howard Hanson (10) on “Emotional Expression in Music,” of the book already cited, Music and Medicine (22). 2. Tone. Every note, while physically produced by a specific rate of Vibration, has at the same time both definite physical and psychological effects. As is well known, sound has great power over inorganic matter; by means of sound it is possible to cause geometric figures to form on sand and also to cause objects to be shattered. How much more powerful then must be the impact of this force on the vibrating, living substances of our sensitive bodies! Each musical note has a specific quality, which cannot be expressed in words. This quality produces psychological effects, but one cannot ascribe a specific emotional quality to each note, and the various interesting attempts to relate each note to a corresponding colour have not given any sure results, as the asserted correlations varied from individual to individual. More efficacious than isolated sounds are successions of tones in which the effect of each single note is increased by its combination with others of a different pitch. 3. Melody. The combination of rhythms, tones and accents produces those musical “units” or “wholes” which are called melodies. These are the results of the creative activity of the composer – an activity which is often spontaneous or inspired. Speaking in psychological terms, such musical creations as well as other kinds of creative artistic production are elaborated in the higher levels of the unconscious, namely the superconscious. Melodies, being a synthesis of various musical factors, are a very apt means for the expression of emotions. They produce on the listener intense and manifold effects. They arouse not only emotions but also sensations, images and urges, and greatly influence the nervous system, respiration and circulation, in fact, all vital functions. 4. Harmony. While melody is produced by a succession of sounds, harmony is produced by the simultaneous sounding of several tones which blend with each other, forming chords. According to the respective rates of vibration of these sounds, the result will be either a harmonious blending or a jarring discord, both of which have definite physiological or psychological effects. Thus we may say that the prevalence of dissonances in modern music, being the expression of the discord, conflicts and crises that afflict modern man, tend with their suggestive influence to accentuate and exaggerate the evil. 5. Timbre. The difference in the nature and structure of the various musical instruments, the human voice included, gives to sound a special quality which can hardly be defined in words, but which is easily recognisable, because it evokes special emotional responses. Everybody who has some musical sensitivity feels the specifically different quality of the impressions made by a violin or a flute, by a trumpet or by a harp, by a soprano or by a bass voice. A composer, through the skilful combination of various instruments of an orchestra, can produce most powerful psychological effects. Before considering the healing effects of music and their utilization, we must frankly recognise and examine its possible harmful influence. This should not surprise or shock us. Everything which is effective can be so either for good or ill. It is well to make clear outright that the medical effect of music does by no means have to coincide with its aesthetic value. There is “bad” music (from the standpoint of art) which is harmless, and on the other hand there is music by some of the best composers which can be definitely harmful. It is not a paradox to state that music of a harmful character; the more expressive it is aesthetically the more dangerous it can be. The harmful effects of music on body and mind are due to various factors. There is then the manner of the arrangement of the concert program, when different and often opposite impressions, experienced in immediate succession, arouse confusing and conflicting emotions. Not seldom does it happen in concerts that the soothing effect of a piece will be destroyed by the exciting nature of the one that follows; the cheerful stimulation of a third piece is neutralized by the depressing influence of a fourth, and so on. Such contrasts can be variously appraised from the aesthetic point of view, but they certainly cannot be approved from the medical standpoint. Also the excessive amount of music at long concerts, showered upon the listeners, can cause nervous fatigue and psychological indigestion. A second group of musical pieces of a harmful kind consists of those that are very melancholy and depressing, as they express languor and weariness, grief and distress, agony and despair. This kind of music may have great artistic merit and may have afforded relief to the composer himself and been a means of artistic catharsis, but it is likely to act like a psychological poison on the listener who allows its depressing influence to permeate him. Of this kind are certain pieces by Chopin, notably his nocturnes, in which that unhappy soul has given vent to his poignant melancholy and to his weakness and homesickness. They have contributed to the cultivation of that languid and morbid sentimentality which afflicted the young women of the romantic period of the last century. Finally, music can, and often does, have injurious effects on the performers themselves, who are subjected to a combination of harmful elements: muscular and nervous fatigue as a consequence of intense technical study and the excessive quantity of music, both heard and performed; the anxiety caused by public performances; the particular contrast of psychological attitudes required by the performance itself, which demands on the one hand perfection of technique, concentrated attention and self-control, and on the other an emotional identification with the mood expressed by the music, needed to produce that warmth of expression, that powerful suggestion which fascinates the audience. For these reasons performing musicians need, more than anybody else, to train their will, to control their emotions and to help themselves, or be helped, by a judicious use of relaxation and of all available means of psychotherapy. Special attention should be paid to film-music. Superficially considered it would seem that such music is of no importance since in a cinematographic performance it is the picture which is of primary importance. However, such is not the case. From the very beginning – that is to say, at a time when the later invention of the sound-film could not yet be foreseen – cinematograph performances were accompanied by music, which proves that the important effect of music on the spectators was well recognized. It is a Pscho1ogica1 law that the impressions which come to us through our senses are much more effective if related emotions, through the aid of other sense organs, are awakened within us. There is also another psychological reason why accompanying music has a special effect upon the spectator. The conscious attention of the latter being completely concentrated upon the pictorial performance produces, instead of lessening the influence of the accompanying music, a tremendous increase in the effect which the picture has. 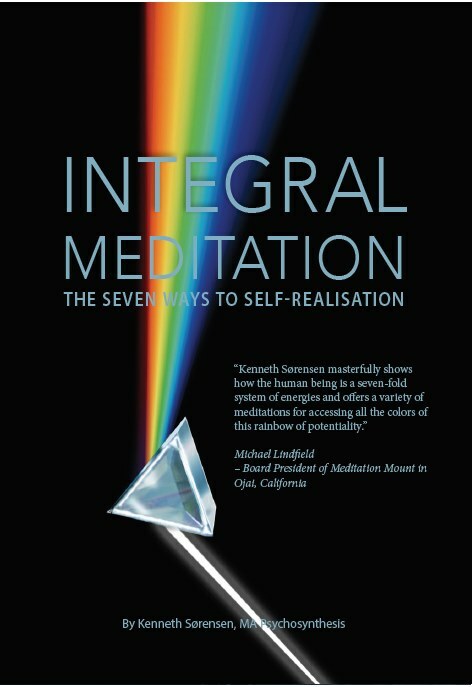 Research pertaining to the mechanism of suggestion and to the part the unconscious plays in the life of the soul has demonstrated that impressions received at the exclusion of waking consciousness and of critical judgment penetrate much more deeply into the individual; they affect man not only psychologically but also in his body and are even able to call forth functional disturbances. Since music definitely increases the individual’s receptivity to the impressions conveyed by film episodes, it seems highly desirable – from the medical as well as the pedagogical standpoint – thoroughly to examine film music and, where the effect is found to be harmful, to take steps to eliminate it. Often such accompanying music is sensual in character or overtly emotional and its effect upon the listener-spectator is enervating. Not seldom does it happen that through such music feelings of oppression and terror, created by film scenes, are reinforced so that their exciting effect is thereby greatly increased. After having dealt with the dark aspects of the picture, let us now consider the bright ones. Music can indeed be a powerful healing agent. There are many and diverse ways in which it can and does exercise a beneficent influence on both body and mind. First of all, its effect can be wonderfully restful and refreshing, and we need not emphasize how valuable this is in our times of physical exhaustion, nervous tension and emotional and mental excitement. The general and obvious prescription for the elimination of these conditions is a rest cure. But the men and women of our day do not know how to rest, or even what real rest means. They are accustomed to constant movement and noise so that they are unable to keep still and endure silence. Here music comes to their rescue. As Father Gratry (9) pithily says: “There is no agent so powerful in giving us real rest as true music … It does for the heart and mind, and also for the body, what sleep does for the body alone.” (Les Sources) Indeed, many peaceful and solemn adagios, many soothing lullabies and “barcarolles” induce with their soft charm a beneficial relaxation in a more natural and healthy way than any chemical sedative. More specific applications along these lines, with the purpose of inducing calm and soothing pain, have been made with patients undergoing dental treatment or surgical operations. We have indicated how intensely music can work upon the feelings, and have pointed out the danger of this fact, but in many cases an emotional stimulus may be very opportune and helpful. For instance, there are a great many persons belonging to the practical or to the mental type, who have an undeveloped or repressed emotional nature, and this is apt to make them arid, dissatisfied, shut-up within themselves. To them music may give the magic touch which reawakens and warms the heart and restores communion with nature, humanity and God. Then there is a kind of music, both instrumental and vocal, of a strong and virile nature, which arouses the will and incites to action. Such music has stimulated innumerable individuals to noble deeds, to heroic self-sacrifice for an ideal. Against all negative and depressive emotions, such as despondency, pessimism, bitterness and even hate, music of a gay, vivacious and sparkling character, and also music that expresses true humour, acts as a true counter-poison. It cheers and gladdens, smoothing the wrinkled foreheads and softening into smiles the hard lines of tightly closed lips. Such effects are produced by many compositions of Haydn, Mozart and Rossini. What more efficacious, genial and acceptable means than music could a doctor devise for giving joy; that joy which the intuition of the ancients and the investigations of modern science alike declare to be a powerful tonic both for the mind and for the body? Music can and does also quicken and facilitate intellectual activity and favour artistic and creative inspiration. There is, among others, the case of the Italian author Alfieri who relates that he conceived nearly all his tragedies either at the moment of listening to music or immediately afterwards. Through its influence upon the unconscious, music can have a still more definite and specific healing effect of a psychoanalytic character. If of an appropriate kind, it can help in eliminating repressions and resistances and bring into the field of waking consciousness many drives, emotions and complexes which were creating difficulties in the unconscious. Music can then help also, through its charm and uplifting influence, to transmute and sublimate those impulses and emotional energies so as to render them not only harmless, but make them contribute to the deepening of experience and the broadening and enriching of the personality. We have the works of a great composer who, having lived through periods of intense stress and strain, was finally able to rise to some extent above his personal pain and to draw inspiration from it, expressing strength, joy and faith, and praising the goodness of life. I am referring to Beethoven. In some of his sonatas, particularly in the later ones, the releasing and sublimating process is easily discernible. The storms and alternations in the first parts of these sonatas are followed by a peaceful and triumphant conclusion. And there is the noble poet Francesco Chiesa who intuitively perceived, and expressed with admirable art, this psychoanalytic and sublimating action of music, this high lesson of strength and optimism. In his poem L’Ucello del Paradiso (The Bird of Paradise – See Appendix A), he describes the emotional and mental states induced by a violin recital. The previously discussed process of integration into the conscious personality of unconscious contents and their subsequent transmutation and harmonisation can in a certain respect be regarded as a process of synthesis. But there is a more specific process of psychosynthesis which is of three kinds, or rather, consists of three stages, each wider and more inclusive than the preceding one. They can be called respectively: spiritual psychosynthesis; inter-individual psychosynthesis; cosmic psychosynthesis. 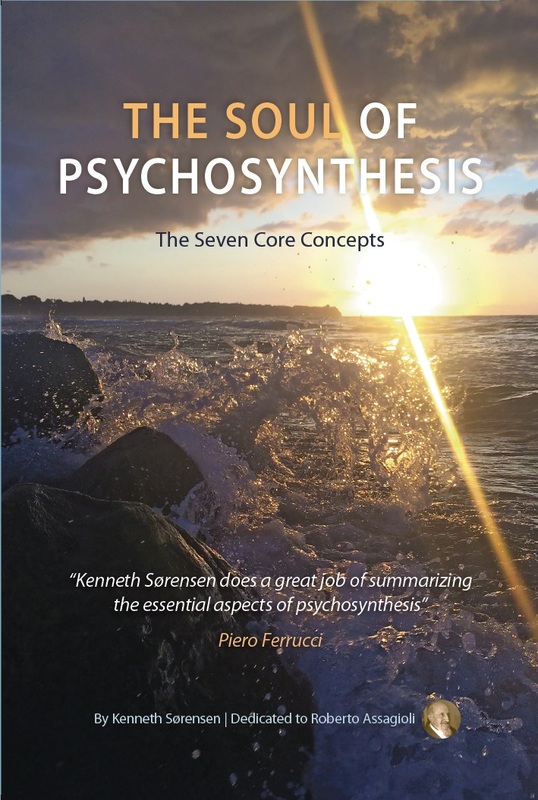 The first – spiritual psychosynthesis – recognises the inclusion and integration into the conscious personality of higher psycho-spiritual elements of which it is not consciously aware, because they reside in the highest sphere of the unconscious, the superconscious. Next we must mention J.S. Bach whose music not only arouses the deepest religious feelings, but has a still greater synthesising influence which we shall discuss later; nor should we fail to mention Handel and his impressive oratorios. Among the modern composers we find three who are markedly different from each other, but whose music, in diverse ways and with dissimilar techniques, produces powerfully spiritual effects: Cesar Franck, that pure and noble soul who succeeded in giving adequate musical expression to the Evangelical Beatitudes; Richard Wagner, who in Lohengrin and Parsifal evokes with the magic of sound the flight of an angelic host from heaven to earth, the feeling of spiritual love and compassion, and the sacred rites of the Grail Brotherhood; Scriabin who, through the use of daring combinations of sounds, endeavours to lift the consciousness to the heights of rapturous bliss and ecstasy. 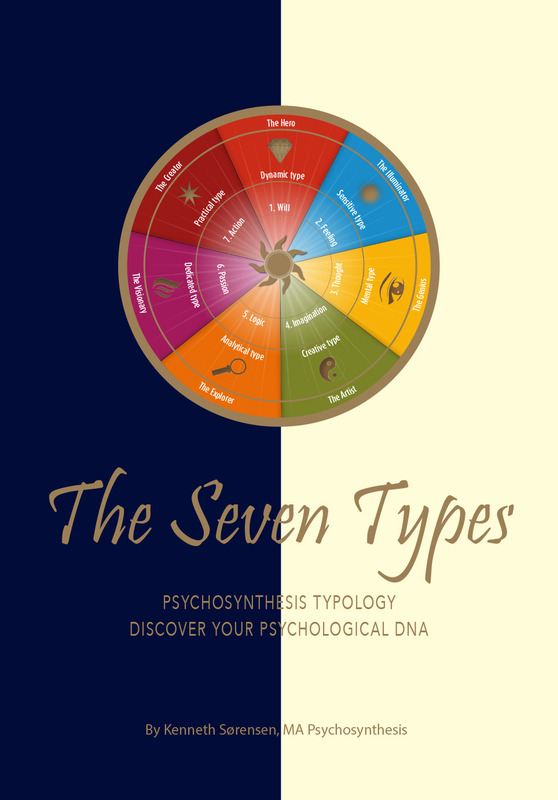 The second kind or stage of psychosynthesis – inter-individual psychosynthesis – is one which is established between an individual and his fellowman within a group of which he forms a part – from the smallest combination consisting of a man and a woman, to the family group which includes the children, on to the various social groups, the national groups and ever greater units, until his consciousness embraces in an harmonious relationship the whole of humanity. Such inter-individual psychosynthesis is promoted by all music which expresses collective emotions and aspirations. It includes national anthems, marches and folk songs belonging to particular occupations or group activities; harvest songs, grape-gathering songs, etc., and many choruses from the operas of Verdi and others. The highest and most effective musical expression of the psychosynthesis of humanity is Beethoven’s Ninth Symphony, which reaches its climax with the intonation of Schiller’s words “Seid umschlungen, Millionen.” (Be embraced, ye millions of men.) This subject-will be dealt with further in the section on Collective Applications. The technique of this healing action consists, according to Pontvik, in the evocation or musical expression of primordial symbols corresponding to what Jung calls archetypes. The music which can especially produce this kind of healing influence is that of J. S. Bach. Pontvik found in his experience that Bach’s music evokes religious symbols particularly that of a temple, the harmonious proportions of which are in their structure analogous to those of the universe. He supports his contention by two interesting quotations; one from Albert Schweitzer, who not only has to his credit great “humanitarian achievements but is, besides, one of the most prominent authorities on Bach. Schweitzer (23) calls a composition by Bach “an expression of the Primal Power which manifests itself in the infinite rotating worlds.” The other quotation is from the writings of a Chinese sage: “Perfect music has its cause. It arises from balance. 1. Prior to the performance, the patient or group of patients should receive adequate information about the piece to be executed. Its nature, structure and particularly the effect to be expected, should be explained. In this way the listeners can contribute intelligently to the influence of the music upon their unconscious, and consciously assimilate it. For the same reason it is useful for the listeners to know beforehand the text of pieces which are to be sung, or to have the text right under their eyes. Often, also, in regular performances the strain to catch the words (which are not usually clearly pronounced, or which are submerged by the sound of the orchestra) interferes with the effect aimed at. 2. It is advisable for the patients to relax as much as possible before and also during the musical performance: This, too, helps them to “open the doors of the unconscious,” so to speak, and to receive the full benefit of the musical influence. Such relaxation can be induced by a comfortable physical position, by subdued illumination , by verbal suggestions made by the doctor, and also by a short introductory musical piece of a soothing nature, even if, subsequently, one wants to produce stimulation or joyousness through appropriate pieces. 3. The right dosage is of importance. In general, a musical treatment should be of short duration, in order to avoid fatigue and, therefore, possible defence reactions. 4. Repetition can be, and has been found to be, helpful. Dr. G.W. Ainlay, who combines the qualities of medical doctor, violinist, pianist and composer, states in his valuable paper on “The Place of Music in Military Hospitals” (2) the following: “It is quite astounding to see the good effects and relaxation that m~ be produced in certain types of neuropsychiatric patients by repeating soothing measures or phrases. The repetition seems to act like a gentle massage if properly done.” (p. 328) However, we should remember that repetition of motifs and small sections is often adequately expressed in the compositions themselves, and that, if repetitions are too insistent, they can become annoying and even obsessing. Such an effect, for instance, is produced on some people by Ravel’s Bolero. 5. The volume or loudness of the music should be carefully regulated. Generally, one should adopt a low volume of sound, not only in the case of soothing music, but also when music is brilliant and stimulating. The desired effect is produced by the rhythm and other qualities of the music previously mentioned (tone, melody, harmony, timbre), and not by the amount of sound which, when great, is apt to tire or jar the nervous system. 6. For the same reason as indicated in section 2. of these rules, it is advisable for the patient to rest for a while also after hearing the healing music. This favours its full and undisturbed action in and on the unconscious. 7. Due to the fact that the unconscious is not only active spontaneously during sleep, but also receptive to outer influences, musical therapy can be applied during the patient’s sleep as well. The fact that music does affect the unconscious during sleep was proved many years ago by a series of experiments made by one of my co-workers, Dr. G. Stepanow, using the following technique. After having performed a piece of music during the subject’s sleep, he awakened her and asked her to tell him what she had been hearing. He found in every case that these dreams had been definitely affected by the nature of the music performed. The therapeutic use of music during sleep is particularly indicated for children, for psychiatric cases, and in general for people who are restless and agitated when awake. It would seem to be a matter of common sense to adapt the music to be performed to the social and cultural level of the listener. Indeed, in the majority of cases, simple uncultured people ask for, and enjoy, popular music and appear to be unresponsive to, and bored by, classical music. Yet there have been many instances in which such people were deeply affected by music of high quality by the great composers. Pontvik mentions several such cases, and one that is particular convincing will be quoted in the next section on collective applications. This may be due to the fact that the main effect of music is on the unconscious and that, to some extent, the unconscious is independent of the conscious level and accomplishments of the personality. In the case of uncultured people, therefore, it is advisable to attempt to use the simpler but most impressive works of the great composers. Another obvious rule would seem to be that of using music of a specific character (soothing, stimulating, cheerful) in order to arouse the corresponding emotions and conditions which appear to be lacking in, and are needed by, the patient. However, in actual practice the matter is not so simple. can receive a different impression of the same work according to the varying psychological or physical conditions in which he or she is at the time. However, we should not base our judgment regarding the effects of a musical composition only on such reports, which depict the immediate and conscious reaction of the hearer. There are other effects which operate on unconscious psychological levels, and emerge only later, or even remain unrecognized, while they may influence the general condition of the patient. The accumulation of such data and a careful observation of the therapeutic effects will in the future facilitate the selection, in an increasingly reliable way, of the musical pieces best suited to each patient and his particular trouble. Until such progress has been achieved, the specific “prescriptions” of musical pieces for various morbid conditions, given by some writers on the subject, should be regarded with the utmost prudence and qualification. Meanwhile, there is one type of music which can safely be applied with satisfactory results in all cases, regardless of the patient’s difficulties and physical age; and that is kindergarten and folk music. This, according to Dr. Ainlay (2), seems to lire-supply, or re-activate, the mother-child complex and so offer temporary security and sanctuary.” Another more general reason is that the unconscious, or more exactly a considerable part of it, is of a primitive and childlike character. Such music should be used preferably in the first therapeutic applications, or as a prelude to other specific pieces. 9. In the future, the development of musical therapy may make it possible for musicians, who are also psychologists or doctors, to compose special music aiming at definite therapeutic effects. This may not be as remote as would appear on first consideration. One of my student, Miryam Viterbi, who is an accomplished pianist and has taken up the study of medicine, is planning experiments in this direction. The technique she has worked out for the treatment of obsessive ideas is reported in her own words in Appendix B (see p. 21). 10. Combined use of musical therapy with other kinds of treatment. (a) Music and Anaesthesia. In order to hasten or facilitate the anaesthesia, music has been and is being applied, both by individual doctors (generally dentists) and in hospitals. On page 7 we have already mentioned the use of music for this purpose in the University of Chicago clinics. Recently (1955) similar applications have been introduced at the Vaugirard Hospital in Paris with marked success. We cannot enter here into the technical details of such applications, but interested doctors can find a description of them in the periodical, “Anaesthesia and Analgesia, II Vol. 29, 1950 (3), and in Dr. Podolsky’s book, Music Therapy (18). In such cases the choice of suitable music is comparatively easy; it only needs to be soft, slow and soothing. (b) Music and Psychotherapy. The two main objectives of psychoanalysis – namely, that of bringing into the light of consciousness psychological elements hitherto confined to the unconscious, and that of releasing and transmuting instinctual and emotional energies – can be greatly promoted by the use of appropriate music. The same can be said concerning the awakening and activation of the superconscious spiritual elements and the integration of the personality aimed at by psychosynthesis. “We ourselves have had the experience that suitable music at the critical moment of a discussion between two human beings can play a determining role in the sense that somehow its influence can be “disarming.” It takes the sting out of aggressiveness and renders it unfit for the battle by dissolving the effects before these have had a chance to express themselves. Still more effective, but possible only for the minority of those who have special musical talent, is creating music, either through free improvisation on an instrument or through actual composing. has yielded very gratifying consequences. It is remarkable how amenable even serious cases are to this kind of organized collective activity; and the patients like it. The chaplain and organist of the Asylum for Insane Criminals at Montelupo, Italy, stated that the worst punishment for the inmates was to be excluded from participation in the musical performances. Another very helpful means is that of teaching patients to sing together in choirs. A wide use of music in hospitals, particularly in military and psychiatric wards, has been carried on in the United States since the Second World War. In a “convalescent reconditioning program” Dr. G.W. Ainlay (2) has outlined a detailed plan for many different applications of music. There is considerable scope for the application of musical therapy in prisons. Criminals should really often be considered as sick, neurotic or psychopathic individuals and therefore as human beings to be treated by means of psychotherapy and re-education. Correspondingly, prisons lose more and more their character of places of punishment and acquire that of institutions in which offenders are kept in seclusion for reasons of social security, but are, at the same time, actively helped towards recuperation. Good beginnings have been made in this direction, but much more could and should be done as rapidly as possible. “The bold idea of introducing high-class music into Paris prisons has been crowned with complete success. One audience consisted of about two hundred women whose average age was barely thirty. Musical pieces of a very high order were played to them for an hour. We believe that in order to touch human beings of low character we must offer them the highest. In our opinion, this music in the prisons is not an entertainment for the prisoners, but a real means of cure capable of arousing individuals, of moving them and of assisting them to take their proper place in life. “From the first bars the majority of the women were in tears. Under the impression of music, one of the girls who had been arrested for vagrancy and for leading an immoral life, broke down and retracted her assertion, which she had made to the authorities, that she was alone in the world. She revealed her secret to the director and gave him the name and address of her grandmother. The field of musical therapy is indeed large, and the fruits it can yield are significant and precious. Its cultivation calls for a widespread cooperation between physicians, psychologists and musicians. We trust that the magic of sound, scientifically applied, will contribute in ever greater measure to the relief of human suffering, to a higher development and a richer integration of the human personality, to the harmonious synthesis of all human “notes,” of all “group chords and melodies” – until there will be the great symphony of the One Humanity. AGRIPPA Von Nettersheim, H.C., De Occulta Philosophia, Lib. II, Cap. 14, Antwerp, 1531.
b. Contributions aux Recherches sur les Effets Psychiques de la Musique, pp. 83-84, Unpublished, Privately circulated article. SCHWEITZER, A., Johann Sebastian Bach, Leipzig: Breitkopf & Hartel, 1915 . I closed, and motionless remained, and silent. Only faint shadow, dewy and silver-glowing. Its primal tones of wonder and delight. With airy wing scarce bent the flowering crown. With knife-thrust in his heart, and knife held ready. In his hands, the mask upon his face. Furrowed our cheeks, the Heavenly Bird was weeping. Into its own delirium of joy. Coiled dumbly in the throat, has lain asleep. And with the flight, upward the abyss was drawn. Upward it bounded, bearing its prey. Displayed the ardent colours of our youth. Our life, and ourselves with it, were transported. A breeze most lightly stirred the wings of gold. Shall now be filled with rivulets of light. Where’er was bitterness, thou shalt have sweetness. The case of a patient suffering from an obsessive idea – an idea which dominates him and renders his actions compulsive – offers an instance of the application of musical therapy by means of a special technique for creating unconscious associations. Listening to a piece of music brings about an involuntary association between the music and the more or less latent emotions and thoughts of the patient. It is this association, which has been demonstrated by experiments, that forms the basis of a special music-therapeutic process whereby it has been found possible to disperse, or at least to modify, a morbid condition generated by an obsessive idea. It is, of course, necessary that the patient should never before have heard the music to be used, because any familiar piece would already have “impressed” other thoughts and emotions on the patient, likely to interfere in a negative way. The use of original pieces of music adapted by specialists to each particular case would be ideal. This therapeutic technique can be briefly described as follows. The patient is invited to let go and to “live” his state of anguish with as much intensity as possible. At the same time he is made to listen to a piece of music selected for its ability to reflect his emotional state. The experience is then repeated until it is observed that an actual and intimate fusion between the music and the obsessive idea has taken place in the patient; until, in fact, the former is seen to evoke immediately the emotion associated with the latter. When this pattern of response has been firmly established, a short interlude precedes the second phase of the treatment. This time the patient is invited to imagine that he is cured and freed from every trouble, that he is able to overcome, normally and naturally, the trials which he has regarded as fearful and difficult. He is made to listen, as before, to another piece of music, this time in harmony with a feeling of victory and inner peace. This phase is more difficult because, if the patient has succeeded easily in yielding to his anguish, he encounters serious obstacles in trying to identify himself with the picture of being cured; the principal reason being that, in the first phase, the situation is “lived,” while in the second it is only imagined. These two phases are a preparation for a third, which is the actual therapeutic stage after the two pieces – the one expressing anguish, the other the overcoming and the release – have been profoundly assimilated and identified by the patient with his own feelings. This time the patient is asked not to think of anything in particular, but only to allow the music he is about to hear to flow into him and affect him as it will. The composition should begin with the principal theme of the first piece with which the patient will, more or less consciously, associate his feelings of anguish. A bridging’ passage should follow, designed to link the first theme to a clear statement of the main theme of the second piece. The structure of this passage should express the inner conflict of the patient, his efforts to conquer his condition of anguish and to attain inner peace; the struggle between the two themes gradually culminating in the triumph of the second theme, which is then reinforced by variations of it. Many such “auditions” may be required before a cure is arrived at, or substantial improvement obtained. The process is mainly an unconscious one wherein the patient, listening to the development of the musical conflict, will feel an upsurge of his real conflict – thanks to the technique of establishing the associations previously. He will pass through crises of anguish and experience moments of hope, to arrive at last at the stabilization of a state of tranquillity and well-being. Such is briefly the technique of this specific method of musical therapy. 1. What beneficial or harmful effects of instrumental and vocal music have you noticed? (d) Upon your intellectual or artistic activities (memory; intellectual work; inspiration; creativity). (e) Upon your will and your external activity. (f) Upon your spiritual life. 2. Could you cite specific effects derived from given musical compositions? Have you noticed that the same piece of music has produced on you different effects, according to the different physical or psychological states in which you were on various occasions? Can you quote some specific instances of such different effects? 3. Which of all these effects have you been able to observe in others? 4. What physical or emotional effects do music and singing have upon you as performer? 5. What are the effects produced upon you by rhythmic movement (rhythmical gymnastics; dancing)?